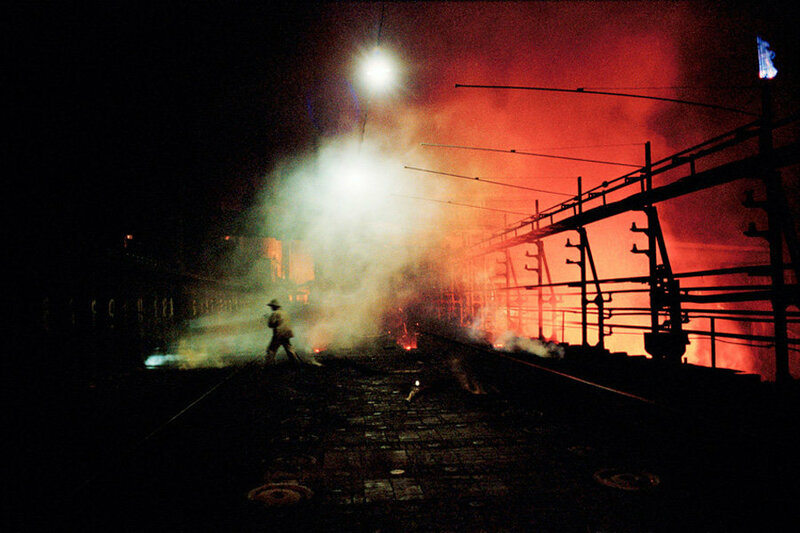 Ian Teh is a documentary photographer with a keen interest in in social, environmental and political issues. His photographs have been featured and exhibited in publications such as Time, Newsweek, The New Yorker and The Independent Magazine. We were first mesmerized with his China: Undercurrents photographs, and asked him for an Invisible Interview. Here, he shares with us, his journey and insight as a photographer. Can you tell us about yourself and how you got into photography? I had always an interest in photography from early on but what made me seriously consider photography, as a way of life, was when I saw Eugene Smith’s book about the Minanmata Disease in Japan. It was inspiring that someone had the possibility to affect change by making the public aware of an issue. There was also Henri Cartier Bresson who eloquently summarized the creative process of capturing a perfectly decisive moment. The poetry in his words helped highlight what was essential and lay open a path in which many other photographers have since then followed. I use an M6 Leica, Fuji 617 for my panoramics. I like those cameras, the simplicity of them. I love film, the texture of grain is more human. I also like the discipline and the creative process that comes with waiting. Digital – Canon 5d Mk II- I use for assignments – its great for that. It has some technical advantages and there are also many other possibilities with digital that I have not yet explored but I have yet to enjoy the working process in the same way as film. Somehow I feel the advancement of technology and the Internet, as amazing as it has been, has also the added side effect of reducing our attention spans and making us more impatient with life. I tend to see my projects as films, the work may be inspired by a social, environmental issue, it might be something more lighthearted and self indulgent but whatever it is the overall shape of the work is as important as the construction of that singular image. It becomes really interesting when one is able to collect more images to build a narrative or a concept in which one wants to hang the story upon. That process of finding the right image to say what you want it to say and yet to be able to reference some element of it to another image within the set is really fun. It builds a cohesiveness that is not necessarily rigid or obviously apparent but at the same time the integrity of the work might not be there if it weren’t so carefully edited and visualized. Can you tell us more about your project ‘China: Undercurrents’. That was a title for my book, it was published in conjunction with my solo show at the Paris Beijing Gallery in China. They represent a collection of stories I had shot over my 10 years of working in China. The title made sense, as nearly every project I embarked upon was a sideways glance at the underbelly of a very successful China. Some stories like The Vanishing or my work on the coal industry like Dark Clouds may have more of a historical significance as time passes as it explores and records some of the sacrifices a nation has had to make under the banner of development. Likewise, tell us about ‘The Vanishing’ – how long did it take you to shoot those photographs and what was the experience like? The work was shot over 3 years, from the winter of ‘99 through to the spring of 2003 just before the waters of the Yangtze rose. I made the trip over several visits, stopping each time to revisit or to discover new places to record the changes. This was a huge subject and in a way was a perfect metaphor for all the things that were going on in China. I chose to focus on the transition, the last vestiges of an old way of life, that for me was the most important because change is scary for most people and such a change was going to be monumental in its impact on people’s personal lives as well as the environment. In the early years, it seemed like people weren’t really too concerned about the changes, but once busy streets of thriving towns became empty with only a few inhabitants left behind it became depressing to see the fear and uncertainty in people’s eyes. It was a national dream, a necessity we were told but we are as yet unaware of the full consequences of such a project. I don’t have a favourite, I have favourites and those tend to change over time. They usually tend to be images that tend to be less specific, where the work itself becomes a vehicle for other ideas or can be metaphors in themselves. How do you find the balance between personal documentary projects and client commissions? Its not easy, I’m not sure I have ever found the balance. But I know that if I don’t prioritize what I value I am left with a void. Yes, they keep cropping up and I make notes of those ideas…out of all these list of ideas and fascinations something will jump out more than others. It becomes a kind of filtration process until eventually I settle on that one idea. Right now I’d like to find something closer to home in the UK or Europe…but there is always my work in China that I remain committed to. Many! At the moment I enjoy Anders Petersons work very much. Few months ago it was William Eggleston. I have always loved Robert Frank and Koudelka… the list goes on. What’s important is the body of work, it cohesiveness, the overall vision …that tells me something about the photographer’s sensibilities – does it evoke something deeper inside me beyond the surface beauty of the image? Am I able to travel beyond the boundaries of the photographer’s frame? Yes, Traces a new series of work I started this year. Essentially its about the memories or traces that are evidenced on the Chinese industrial landscape as a result of rapid economic growth. I’m interested in the landscape as a repository for humanity’s endeavors; being somehow a silent testament to our material desires.